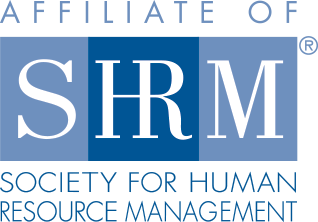 The Philly SHRM Emerging HR Leaders group is dedicated to engaging HR professionals with roughly 0-8 years of HR experience, including college students interested in working in HR post-graduation. We host two Emerging HR Leaders events per year – one in the fall and one in the spring. Our events are designed to be fun and informal. We encourage you to please view the chapter events calendar for our upcoming events. Example events we’ve held in the past include bowling, karaoke, Wii game night, and wine & beer tasting, among many others! Our Career Development Series focuses on skills for career navigation. These sessions focus on topics such as building a personal brand in Human Resources, building your network, and exposes participants to senior HR professionals for career guidance and advice. Our Emerging Leaders committee is focused on supporting the continued growth or creation of local student SHRM chapters. We help these student chapters achieve their objectives through support of industry guest speakers, company visits & events, and mentoring, among many other tailored support per chapter. We manage a mentor program targeted to support soon-to-be college graduates in making the transition from college to corporate. Mentors in this program are generally early-career HR professionals, and mentees are college seniors and members of their SHRM chapter. Application information is distributed at the start of the Fall semester.